Entry by Vanadiel on Sun Mar 13 11:20:41 2011. I pray for you all the time, Japan ! We're all praying for you, so Stay Strong ! "...I never went to church, but sometimes we pray... I'm made in England..."
Because I do not go to church, but I will pray and hope for Japan. Stay strong, because we know you can and many countries are helping aswell. Japan,don't cry anymore..i am praying for Japan..
Me and my friends are praying, everyday at 20:00.. just litting lights, pray and cry... Stay strong Japan! We love you! Keep on strong! I'm praying for you too~! 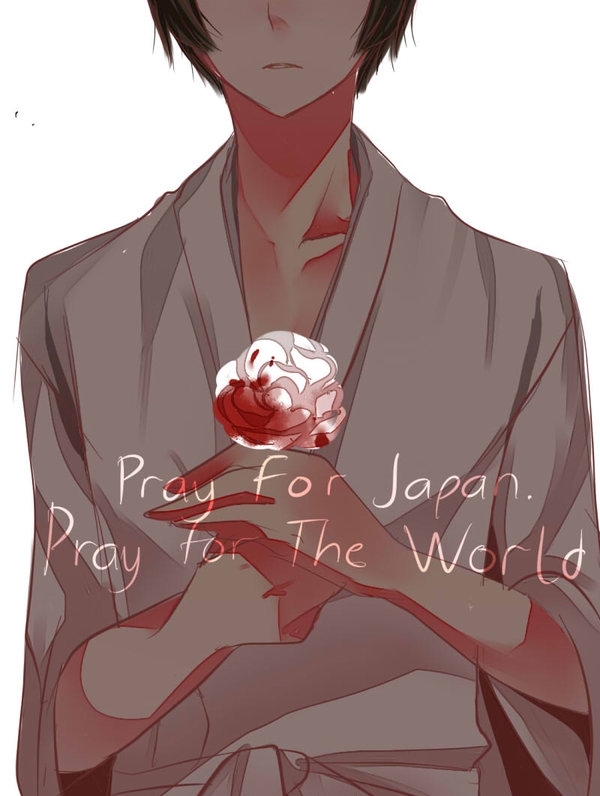 im praying for Japan with all of my heart~! don't give up japan!!!!!! WE LOVE YOU!!!! !WE BELIVE IN YOU!!! PRAY FOR JAPAN!!!! Don't cry, Japan! We're all praying for you! Remain strong! We believe in you and your people! I pray for Japan from Finland! Prayers for Japan from New York! I've been praying for Japan every night and every day in school. Ganbatte, Japan! Ganbatte! Another earthquake hit Japan today T.T Ganbatte Japan! I couldn't afford to lose a friend! Japan! Stay always strong and doing amazing things! Pray for japan! I'm always praying for you Japan! We love you from New York! ¡ASÍ ES LA VIDA! ¡VIVA LO QUIÉN TODO QUÉ TU TIENES!